On Friday April 1, 2016 (no joke!) the Ancient History Department of the University of Groningen will be hosting the annual ‘Work-in-Progress’-Day of the Impact of Empire Research Group. During this meeting (associate) members present ongoing research to the rest of the group and any other participants. Papers will be pre-circulated and during the meeting speakers will introduce their research in a 15-minute presentation, followed by 25 minutes of discussion. The presentations will be followed by the annual Impact of Empire Lecture. 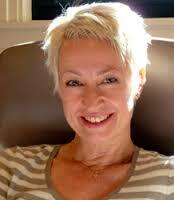 We are happy to announce that Professor Barbara Borg (Exeter) will be delivering the lecture this year. She has published widely on inter alia portraiture, funerary art, and epigraphy. In 2013 her book Crisis and Ambition: Tombs and Burial Customs in Third-Century CE Rome was published by Oxford University Press. Generously supported by OIKOS Impact of Empire, ICOG, and the Groningen University History Department.